Most people have become accustomed to technology in their lives and in their homes. When you travel, your guestroom becomes your home away from home. I suppose you could choose to do without. You could also try to bring it all with you. I think the best situation is when you stay at a place that provides it for you. This helps me travel lightly with only carry on luggage. I recently took a four night, five day trip to Vancouver, B.C. Canada and stayed at a hotel that I thought was a pretty good example of providing technology in the guestroom. The Burrard Hotel is located in downtown Vancouver and was built in the fifties but has been updated and modernized. Part of the check in process included them telling me what the password is to their free WiFi system for guests. I noticed a Cisco Wireless Access point was installed just above the door inside my room, providing an excellent signal for my multiple WiFi devices to connect to. On the small desk in the room I spotted a multiple outlet power port containing 3 AC outlets and 2 USB connections that could be used for charging my devices. On this trip I had my Nexus 6 smartphone, my Nexus 9 tablet, and my Androidwear LG G Watch that I always charge when I get back to the room for the night. I also had a small Bluetooth keyboard that needs to be charged less frequently as well as my Gopro Hero 4 Session camera. At check in they told me about the included North America calling from my room phone, and I saw a vtech cordless phone was located on the desk in the room. On the other end of the desk was a Nespresso coffee machine and a couple of pods for my use. I try to only drink one cup of coffee a day, but being able to do soon after I wake up and without having to leave my room is very nice. Below the desk was a mini fridge that help some bottled water and creamers for coffee. I might use a fridge like this for keeping some beers or sodas I bought at the store, or some take out food cold. This hotel doesn’t offer room service, so being able to keep things in the room is a plus. This room was built without air conditioning so a small in room unit was added. It does take up some space and make some noise but I found it pretty easy to control. A flat screen TV was mounted to the wall of the room, and I remembered that I had wanted to bring my Google Chromecast for some testing, but I forgot and let it at home. The HDMI ports on the back were accessible and the input could be controlled from it’s remote. The fact that the WiFi system here didn’t require logging in via a web page means I should have been able to get it to work. Oh well, maybe next time. The room’s closet contained a small digital safe that was large enough to hold my things when I left the room. I don’t think they offer a lot of security but I do like having one to use when I travel. If one isn’t provided I will usually lock stuff back into my suitcase, and use a notebook cable lock to secure that to a piece of furniture. I know that does little to deter a determined thief. I also noticed that the bedside clock radio had an iPhone connector on the top. I always liked this back when I was an iPhone user and appreciated the ease of charging and playing music with this kind of setup. I waited until after I was past Canadian Immigration and Customs in the Vancouver airport before I powered on my Nexus 6 cellphone . I am running the latest Marshmallow release which at this time was 6.0.1 I wait for two reasons. The first is to avoid the temptation of using my phone where they ask you to not use your phone. The second reason is that I think it’s more likely to find the best signal once you are outside of the airport building. It took many minutes and my phone didn’t indicate service while I was wanting to pull up Google Maps and verify my mass transit routing to my hotel. I got frustrated and power cycled my phone. After waiting again without luck, I decided to take the escalators up to the train platform and simply figure out my way without using my phone. I also thought that there would be a better signal up there than down in the arrivals area. By the time I had purchased a ticket and spoken with a transit authority to confirm the stop I would get off the train, my phone had found roaming service and was working fine. My phone was on Bell Mobility and while it started with a GSM signal at first it quickly switched to LTE. I never got a Welcome to Canada SMS or message in Hangouts but I did capture the screen in the Fi app. The data speed seems to be the capped at 256 kbps that Fi provides when roaming, which is obviously much less than a LTE connection can provide, but still works decent enough for most things. I use the Signal Check app to know which carrier I connect to. Otherwise my just indicates the Fi Network. Once I got to my hotel in downtown Vancouver, I powered on my Nexus 9 tablet which uses a data only SIM from Project Fi. It found a Bell Mobility signal quickly and connected for data just fine. One small difference between the data only SIM and the one in my phone, is that the tablet indicates it is roaming with a small R next to the signal icon, which does not appear on my phone’s display. The speed in my tablet is also capped at 256 kbps even though the LTE connection is capable of faster speeds. This is a contractual limitation with the international roaming agreements that Project Fi has with other carriers. In the past I had used T-Mobile’s similar worldwide roaming which was half as fast, limited to 128 kbps. I make a point of saving any tasks which require much data for when I am connected to a WiFi signal. There were many WiFi access points in downtown Vancouver all though most were password protected. I found it easy to get the password and connect while in my hotel, or at any of the places where I was drinking or eating. Having phone and data service that easily roams at reasonable rates and speeds is important to me. I don’t need to be able to stream video or require unlimited international roaming data. Checking email, Google searches and maps, and a little bit of social media is all I really want to work well. I previously found the T-Mobile service which was capped at 128 kbps was a bit slow but workable. Using Project Fi now at 256 kbps there are less times when you notice it’s slower loading images in web pages or emails, but unlike the T-Mobile international data which was included at the slow speed without charge, the Project Fi international roaming data is charged at the same $10 per GB as your fast data when you are back in the US. I just remind myself to defer uploading or posting pictures and videos until I have a WiFi connection, and everything works well within my expectations. 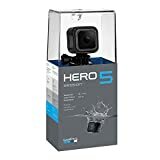 I recently purchased a Gopro Hero 4 Session action camera and here are my first impressions after un-boxing, charging, pairing, and recording two short videos with it. 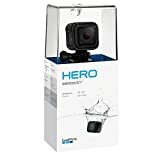 I already have a point and shot camera capable of taking photos and videos, as well as smartphone, tablets, and video cameras but didn’t have anything like a more rugged and small action camera such as this one. I don’t currently participate in extreme sports activities but I do travel a lot and when I do I want to minimize weight and space so as to allow using only carry on sized baggage. I needed to buy a micro SD memory card for use with it, as it doesn’t have any internal storage for videos and pictures. I also purchased an additional mounting kit that contained a head worn harness, and a clip that could be used with a cap that’s tuned backwards. The first thing I had to do after unpacking the camera is install the micro SD memory card behind a small hinged door on the side. This is also where I connected the charging USB cable and let the camera charge for about an hour.